Synopsis (via Goodreads): The dream chooses the dreamer, not the other way around—and Lazlo Strange, war orphan and junior librarian, has always feared that his dream chose poorly. Since he was five years old he’s been obsessed with the mythic lost city of Weep, but it would take someone bolder than he to cross half the world in search of it. Then a stunning opportunity presents itself, in the person of a hero called the Godslayer and a band of legendary warriors, and he has to seize his chance or lose his dream forever. Finally! It took roughly three months for me to finish the audio version of this book. Yes, you read that right: three months! For one thing, the audiobook was insanely long, which was its own challenge, though I loved listening to the narrator. Side note: I totally thought Steve West was Shane East! They sound really similar and their names even look alike. Secondly, my library hold kept expiring, which resulted in me being placed back on a wait list. I truly thought it would never end. It's not that the story was bad, but the beginning really dragged for me. I didn't actually look forward to listening to the audiobook until Lazlo left the library. I think I mentally aged a few years while I waited in those dusty shelves for something else to happen. Despite my issues with the pacing, I enjoyed learning about the characters and the world. Laini Taylor wrote in a way that made the words feel alive. I had no trouble picturing everything as it was described, and the images were breathtakingly beautiful. However, I thought it took entirely too long to get from one place to the next and to explain everything that was happening. I wish she'd condensed it just a little. There's not lot of action throughout the story, and I felt like I was dragging my feet through most of it. I really did like the story as a whole. I thought the alternating perspectives were interesting, even though they were confusing at times. It took me a few seconds at the beginning of each chapter to discern who and where I was. Additionally, Lazlo and Sarai were both unique and complex characters, but they dominated the story. The others were always around, and we do occasionally see things through their eyes, but not to the extent that I would have liked. It made it hard for me to relate to them, and I didn't always understand their decisions. As for the ending: what the hell was that? I felt like I'd finally battled my way through this beast of a book, only to have Taylor punch me in the face while wearing brass knuckles. She did something that I never would have anticipated, and it left me shocked and more than a little angry. I can maybe understand why the twist was necessary, but that doesn't mean I have to like it. Honestly, I don't know how I feel about Strange the Dreamer, and that's why I gave the book three stars. I didn't love it, but I also didn't hate it. I enjoyed the descriptions and the world-building, but I thought the pace was slow and felt bogged down by the details. I have so many questions, too. I'm sure some of those will be answered in the next book (like what's behind all of those closed doors, and if Feral will be able to decipher his book), but I'm not in a hurry to read Muse of Nightmares. I have a copy, and I'll get to it eventually, but I need to be in the right headspace for it. Three months... wow, that's a commitment. (Doesn't help when you have to keep getting put at the back of the hold line at the library.) Sounds like a very slow start but thankfully it picked up. That ending, though... based on your comments I'm not even sure it was worth it? I've never felt led to pick up anything by Taylor. I'm not big on fantasy anyway and the descriptions I've read of her writing just doesn't seem like something I would go for. But she definitely has a lot of fans! Sorry this one wasn't a bigger hit for you, but it sure sounds like the world-building was on point! It took me three months to start a book one time, but that was because I kept finding other books to read first. You've finished it now though, so congrats!! I always intend to start books, and then take forever to actually get to them! However, I started Strange the Dreamer, but would only listen to 30-45 minutes at a time. It took forever to make it all the way through. I celebrated only having an hour left, haha. I’ve been putting this book off for the same reason. Lots of people have said it’s long and slow. I’ll get brave enough to try it eventually. Great review! I really loved this, but I know what you mean about the beginning. It does take some time for the story to get going. Yay! I'm so happy you enjoyed this one! I know a lot of people really love this series, but I really struggled through the first part of the book. We learn about Lazlo's past, and then he's at the library forever! I thought he'd never leave, haha. Did you listen to the audio for Strange the Dreamer, or just read it? Some people have said they started the audio but switched to a physical copy after awhile. Have you read Muse of Nightmares? What did you think? 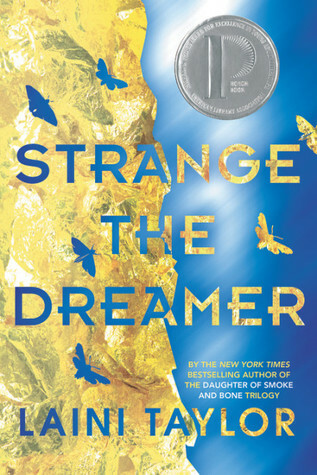 How does the pacing compare to Strange the Dreamer? I should also add that her writing is gorgeous! It's just kind of slow going. I also loved Daughter of Smoke and Bone, though I read that one years ago! I've been meaning to re-read it so I can start the second book in the series. However, now I'm hesitant because you said they get longer and are more difficult to read. Aargh! Like you, the payoff has to be major if I'm going to trudge through all of that! I didn't think the end result was worth it in Strange the Dreamer. It was quite the opposite actually. She pretty much crushed me and any fondness I had for the story. The writing is amazing. I love the way she speaks and the way she writes. The words just flow from one sentence to the next... there are just a lot of sentences, haha. Wow, 3 months. Glad you were able to finish it. I honestly didn't realize how long this book was until your review! I haven't read this yet but it is so beloved by many of my friends so it's one I am kind of afraid to read. 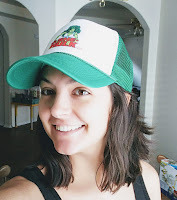 3 months is a long time to slog through a book, long or no, and I am sorry that you struggled with the pacing AND had to keep re-checking the audio from your library. All of my friends loved it as well! They were so disappointed by my lackluster feelings, haha. It's okay though! We can't love every book we read. I did feel like I was slogging through the book most days. I would read/listen to other books just to avoid it, but I didn't hate it. It just wasn't something I looked forward to, even though I wanted to know what happened. I've read Laini Taylor, even went to her a couple of her book signings, but I finally came to the conclusion her writing isn't for me. Her writing is beautiful, BUT slows the plot down so much to me that I lose interest. There needs to be a balance of purple prose and plot movement. I've found she just doesn't do it for me. 3 months for an audio book?! That sounds painful, lol! I've had books expire from the library and if it's an e-book I just keep the wi-fi off on my kindle and it's not a big deal, but that doesn't work for audio books. Glad to hear you were able to finally finish! This is actually the first time I've encountered the term "purple prose," but I feel like it's an accurate description of Laini Taylor's writing (had to Google it!). Her writing is beautiful, flowy, and very descriptive. However, it contrasted with the information shared throughout the story. I had Lazlo's unknown secret figured out the second he touched the anchor. The residue on his hands combined with his constant questions about the missing children -- too much information was shared about his heritage. Also, his dream with the fog. There was sooo much given away at an early stage in the book, but then it took forever for it to actually be revealed. And then I didn't care for the ending, so aargh. Everything happened at a snail's pace, even the dreams they were in. Do people actually sleep that long, or was time different in a dream? Oh! I never considered turning off my Wi-fi to keep an e-book from automatically returning to the library -- smart! I'll remember that. Unfortunately that doesn't work with audiobooks. I wish it did, since a lot of my holds appear on my phone at the exact same time. It's impossible to get to them all before they expire! I'm happy I finished Strange the Dreamer, because the story was unique, but I won't stick with Muse of Nightmares if it progresses the same way. I did read it not long ago and I was expecting a lot from it mainly as it was translating in French and that reviews were glowing again but well I think I felt the same like you. I've only seen glowing reviews for this one, which is why I decided to read it in the first place. I also enjoyed Daughter of Smoke and Bone, but Strange the Dreamer was too dense for me. It was like going a long journey, but getting somewhere and forgetting why you left. Hmm -thanks for letting me know. I know there are a lot of people that really love this one, which is why I'm willing to give the second book a chance. If I'm not enjoying it from the beginning, it's not one I will continue reading. I just really wanted to give Strange the Dreamer a chance, and decided to stick with it until the end. I don't feel like I've wasted my time necessarily, but I do feel let down by the story. It improved after the first half, but not enough to make me love it. I totally get how it took you so long to finish this book! I started reading it a few months ago and had to take a break from it. I just couldn't get into it. I really don't know if I can bring myself to DNF a Laini Taylor book, but I don't really have any motivation to go back to it either. Ugh! For now, I'm just on a break from it! However, reading your thoughts on the ending make me want to go back to it even less! I'm sorry to hear this wasn't a better read for you. I loved it when I read it but I can definitely understand where you're coming from on that ending.